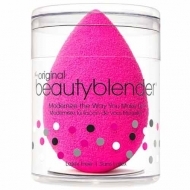 DESCRIPTION: Beauty Blender Micro.Mini from Beauty Blender is a duo of makeup sponges to be used to sculpt the facial features or conceal small imperfections of the skin. 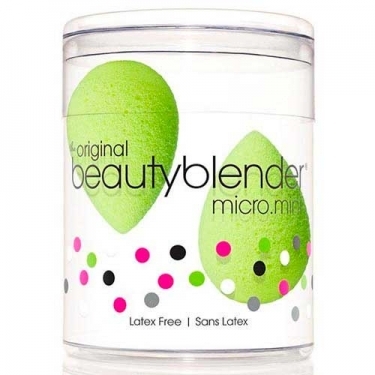 Micro.Mini is 1/4 the size of the original Beauty Blender, but grows up to twice its size when wet, making it the perfect size to maneuver in small areas, such as under the eye, in the inner corners of the eye, in the eyelids , on the forehead, on the sides of the nose, on the upper cheeks and on the acne blemishes. This product has an open cell structure which fills with small amounts of water when wet. This allows the sponge to be full, so that the makeup product stays on top of the sponge instead of being absorbed, allowing you to use less product at a time.